3.18 billion billion atoms of fluoride ion. falsely certifying fluoridation materials to be safe. 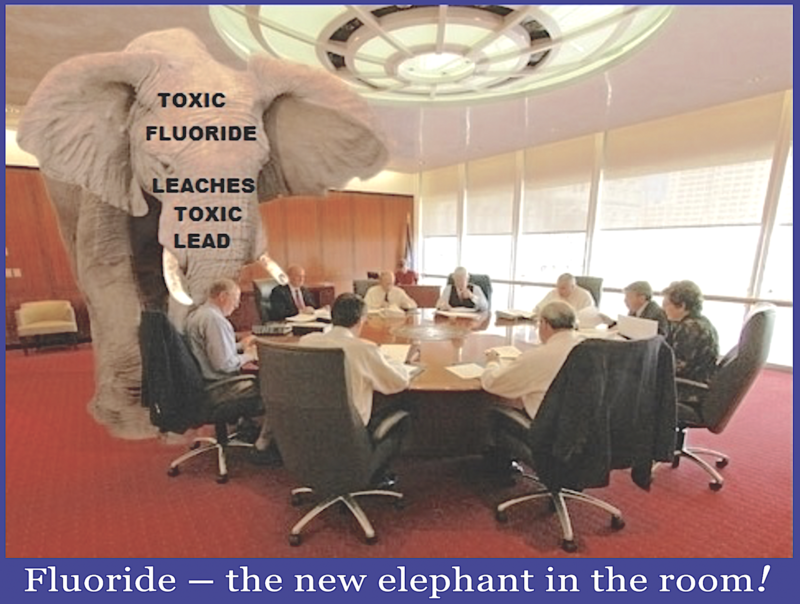 fluoridation materials are eligible to sit on the Board of NSF. NSF admitted in 2000 that some tanker loads emit beta radiation. The various constituents of this so-called fluorosilicic acid “morph” into different forms. They combine, break down, and join with other elements and compounds as the pH and dilution changes, from very low pH in the tanker truck to around 7.6 pH as it emerges, diluted, from the water treatment plant, to around 3 pH in the stomach (where half the fluoride ion morphs into hydrogen fluoride), to around 7.4 pH in blood. The body copes with fluoride by sending it to the bones, where it binds with calcium. It is sealed off and can never be excreted because the alkaline pH of the bones prevents it from ionizing and separating from bone calcium. It is trapped there forever and accumulates [permanently for the lifetime of the consumer]. 0.04 ppb in tap water, contribution from fluoridation materials. The phrase “contribution from fluoridation materials” means the amount of each element added as part of the fluoridation chemicals added and not the amount which might come from the source water or that part which is leached out of pipes. Although fluoridation materials add up to 1.6 ppb lead, much more lead is added as fluorosilicic acid breakdown products such as orthosilicic acid leach lead from pipes, producing lead levels at various taps in Everett at up to 63 ppb and in Seattle school drinking fountains at up to 1,600 ppb, which equals 1.6 ppm, more than the fluoride level. [note that 0.6 ppm silicic acid is 6.4 x 10^-4 molar and reacts one to one with lead bicarbonate to form 6.4 x 10^-4 moles of lead ion which is 1,300 ppb, comparable to the detected 1,600 ppb lead in Everett school fountains]. The NSF standard 60 requires that a score of toxicological studies be done on fluoridation materials, however, NSF has admitted that it is not enforcing this requirement. Laws in some 47 states such as WAC 246-290-220 state that fluoridation may be done only with fluoridation materials which “comply” with NSF Rule 60. Because the toxicological studies are not being done, our fluoridation materials do not “comply” with NSF Rule 60. 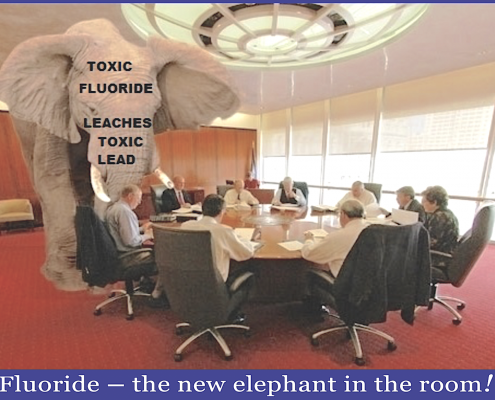 Fluoridation with fluorosilicic acid is therefore illegal. There are other reasons why fluoridation is illegal. Our city councils and water districts ignore this conspicuous violation of law at the peril of themselves someday being personally liable in court. 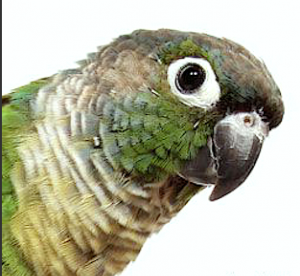 The compounds contained in pesticides, for example, typically break down into otherwise harmless elements. Even ‘Roundup’ eventually breaks down into hydrogen, oxygen, nitrogen, and phosphorus. However, the elements listed above do not break down. They are elements, and elements are indestructible. They can continue their enzymatic activity indefinitely. Although the concentration of these contaminants might appear small when expressed as a percentage or as parts per million or billion, the absolute number of atoms of these contaminants in a liter of water is enormous. For example, when lead is present in water at 1.6 ppb, there are as many as 4.6 x 1012 atoms of lead per liter, which is 4.6 trillion atoms of lead. I will show you how to calculate the number of atoms below. These 4.6 trillion atoms of lead penetrate every part of the body, are hard for the body to excrete, are highly toxic, and are indestructible. A “small” amount of lead is not a small number of atoms of lead, and is wrongheaded to dismiss it as insignificant. Here is some necessary background information: An atom is exceedingly small, and the number of atoms in even a small amount of water is enormous. Avogadro’s Number is the number of atoms (or molecules) in one mole of an element (or compound). A mole of an element or compound contains the molecular weight of the element or compound. The molecular weight of water, for example is 18, so a mole of water is 18 grams of water. In 18 grams of water there are 6.02 x 1023 molecules of water. In plain language that is 602 sextillion or 620,000,000,000,000,000,000,000 atoms. Note that I moved the decimal 23 digits to the right. Let’s do the same calculation for fluoride ion, assuming a concentration in tap water after dilution of 1.0 ppm. The atomic mass of fluoride ion is 19, and therefore the gram molecular weight of fluoride ion is 19. There is not 1 gram of fluoride ion in fluoridated water, but 1 milligram, which is .001 gram. To get the number of moles of fluoride ion in a liter of water divide .001 by 19, there is.000053 moles of fluoride ion in a liter of water, which is 5.3 x 10-5 (because we moved the decimal point 5 places to the right) moles of fluoride ion in a liter of fluoridated water. Multiply 5.3 x 10-5 x 6 x 1023 = 31.8 x 10-18 or 3.18 x 1017 or 3,180,000,000,000,000,000. That is 3.18 billion billion atoms of fluoride ion in a liter of water containing fluoride ion at 1 ppm. Although 1 part fluoride ion in one million is argued to be ‘safe’ for human consumption, understand that one litre of water fluoridated with 1.0 ppm fluoride ion contains around 3.18 billion billion atoms of fluoride ion. The kidneys eliminate half of all ingested fluoride contaminant, but are unable to prevent the remaining fluoride ion from binding to bone permanently for the life of the consumer, since calcium fluoride is locked inside extracellular bone which retains a basic pH of 7.4, and at that pH, the fluoride cannot dissociate and come unlocked from the calcium. 1 ppm fluoride ion in water causes blood fluoride levels of 0.21 ppm, which in turn produces a fluoride saliva level of around .02 ppm fluoride ion. A blood fluoride level of .21 ppm is enough to inhibits the activity of DNA repair enzymes including glutamine synthetase about 50%. Arsenic: NSF acknowledges that shipments of fluoridation materials have been found to add up to 1.6 ppb arsenic after dilution down to the level where fluoride ion is at 1 ppm. Arsenic has a molecular weight of 75. At the concentration of 1.6 ppb in water, the calculation of the number of atoms of lead in a liter of water is 1.6 x 10-9, which is .0000000016 (note that I moved the decimal point nine places to the left), which is the number of grams of arsenic in a gram of water. Divide that by the atomic number, which is 75. That yields 2.1 x 10-10 moles of arsenic x Avagadro’s number, 6.02 x 1023 = 12.8 x 1012 or 12.8 trillion atoms of arsenic per liter of tap water. Regarding orthosilicic acid, there is little orthosilicic acid (H4SiO4) in the tanker truck. When the fluorosilicic acid (SiF62−) is diluted 230,000 times to the point where the concentration of fluoride ion has been reduced from 23% down to 1.0 ppm, fluorosilicic acid breaks down, and one of its breakdown products is orthosilicic acid. So-called fluorosilicic acid is not just fluorosilicic acid. It contains or breaks down into (*** check this:) hydrogen fluoride, fluoride ion, orthosilicic acid, and a host of other elements in small concentrations. In water where fluoride ion is diluted to the point where there is 1.0 ppm fluoride ion, there can be up to around 0.6 ppm orthosilicic acid. Orthosilicic acid has an atomic weight of 96. Therefore divide .6 x 10-9 by 96 = which yields .00625 x 10-9, which is 6.25 x 10-12 moles of orthosilicic acid in a liter of water. Multiply 6.25 x 10-12 by Avagadro’s number, 6.02 x 1023 = 37.6 x 1011 or 3.76 x 1012 or 3.763 trillion molecules of orthosilicic acid in a liter of fluoridated water. Regarding lead, NSF acknowledges that shipments of fluoridation materials have been found to contain up to 1.6 ppb lead (1.6 x 10-9) after dilution down to the level where fluoride ion is at 1 ppm. The atomic weight of lead is 207.2 and a mole of lead therefore weighs 207.2 grams. Divide 1.6 x 10-9 by 207.2 = 7.72 x 10-12 moles of lead in a liter of fluoridated water. Multiply 7.72 x 10-12 by Avadadro’s number, 6.02 x 1023 = 46.47 x 1011 or 4.647 x 1012, which would be 4.647 trillion atoms of lead in a liter of fluoridated water. Regarding beryllium, NSF acknowledges that shipments of fluoridation materials have been found to add up to .6 ppb beryllium after fluoridation materials have been diluted down to the level where fluoride ion is at 1 ppm. Beryllium has a molecular weight of 9. At the concentration of .6 ppb in water, the calculation of the number of atoms of beryllium in a liter of water is as follows Multiply .6 ppb or .0000000006 or .6 x 10-9 (note that I moved the decimal point nine places to the left). This is the grams of beryllium in a gram of water. Divide that by the atomic number, which is 9. Then .6 x 10-9 divided by 9 = .066 x . 10-9 or 6.6 x 10-11, which the moles of beryllium in a liter of water. Multiply x 6.6 x 10-11 x Avagadro’s number, 6.02 x 1023 = 39.72 x 1012 or 3.972 x 1013, which 39.72 trillion atoms of beryllium per liter of tap water. Regarding barium, NSF acknowledges that shipments of fluoridation materials have been found to add up to .3 ppb beryllium after fluoridation materials have been diluted down to the level where fluoride ion is at 1 ppm. Barium has a molecular weight of 137. At the concentration of .3 ppb in water, the calculation of the number of atoms of barium in a liter of water is as follows Multiply .3 ppb or .0000000003 or .3 x 10-9 (note that I moved the decimal point nine places to the left). This is the grams of beryllium in a gram of water. Divide that by the atomic number, which is 137: .3 x 10-9 divided by 137 = .0022 x 10-9 or 2.2 x 10-12, which the moles of barium in a liter of water. Multiply 2.2 x 10-12 x Avagadro’s number, 6.02 x 1023 = 13.24 x 1011 or 1.324 x 1012 or 1,324,000,000,000 or 1.325 trillion atoms of boron per liter of tap water. Regarding chromium, NSF acknowledges that shipments of fluoridation materials have been found to add up to .2 ppb chromium after fluoridation materials have been diluted down to the level where fluoride ion is at 1 ppm. Chromium has a molecular weight of 52. At the concentration of .2 ppb in water, the calculation of the number of atoms of chromium in a liter of water is as follows: Multiply .2 ppb or .0000000002 or .2 x 10-9 (note that I moved the decimal point nine places to the left), which is grams of chromium in a gram of water. Divide that by the atomic number, which is 52: .2 x 10-9 divided by 52 = .0038 x 10-9 or 3.8 x 10-12, which the moles of chromium in a liter of water. Multiply 3.8 x 10-12 x Avagadro’s number, 6.02 x 1023 = 22.88 x 1011 or 2.288 x 1012 or 2,288,000,000,000 or 2.288 trillion atoms of chromium per liter of tap water. Regarding cadmium, NSF acknowledges that shipments of fluoridation materials have been found to add up to .12 ppb cadmium after fluoridation materials have been diluted down to the level where fluoride ion is at 1 ppm. Cadmium has a molecular weight of 112. At the concentration of .12 ppb in water, the calculation of the number of atoms of cadmium in a liter of water is as follows: Multiply .12 ppb or .00000000012 or .12 x 10-9 grams of cadmium in a gram of fluoridated water. Divide that by the atomic number of cadmium, which is 112: .12 x 10-9 divided by 112 = .00107 x 10-9 or 1.07 x 10-12, which is the moles of chromium in a liter of water. Multiply 1.07 x 10-12 x Avagadro’s number, 6.02 x 1023 = 6.44 x 1012 or or 6,440,000,000,000 or 6.44 trillion atoms of cadmium per liter of tap water. Regarding thallium, NSF acknowledges that shipments of fluoridation materials have been found to add up to .06 ppb thallium after fluoridation materials have been diluted down to the level where fluoride ion is at 1 ppm. Thallium has a molecular weight of 204. At the concentration of .06 ppb in water, the calculation of the number of atoms of thallium in a liter of water is as follows: Multiply .06 ppb or .00000000006 or .06 x 10-9 grams of thallium in a gram of fluoridated water. Divide that by the atomic number of thallium, which is 204: .06 x 10-9 divided by 204 = .00029 x 10-9 or 2.9 x 10-13, which is the moles of thallium in a liter of water. Multiply 2.9 x 10-13 x Avagadro’s number, 6.02 x 1023 = 17.46 x 1010 or or 174,600,000,000 or 174.6 billion atoms of cadmium per liter of tap water. Many of the isotopes of thallium are radioactive. NSF admits in its letter written in 2000 that the radionuclides in so-called fluorosilicic acid give off as much as .6 millirems of beta rays per year. Presumably these beta rays are coming from the thallium, although according to environmental journalist George Glasser, when the price of uranium was higher, the ore which phosphate comes from has been used as a source of commercial amounts of uranium. So there may be other radionuclides in the fluoridation materials which might contribute to this total, including uranium and polonium, according to Glasser. “In a classic beta decay a neutron [gives off an electron and becomes positive and] turns into a proton, and a beta particle (electron) and an anti-neutrino are ejected from the nucleus”. This amount of radiation approaching you from outside your body would not even penetrate your skin. However, once a thallium atom becomes part of the body, it is inside cells and only Angstrom units away from DNA molecules. There is no safe level of ingested radioactivity. Regarding mercury, NSF acknowledges that shipments of fluoridation materials have been found to add up to .04 ppb mercury after fluoridation materials have been diluted down to the level where fluoride ion is at 1 ppm. Mercury has a molecular weight of 201. At the concentration of .04 ppb in water, the calculation of the number of atoms of mercury in a liter of water is as follows: Multiply .04 ppb or .00000000004 or .04 x 10-9 grams of mercury in a gram of fluoridated water. Divide that by the atomic number of mercury, which is 201: .04 x 10-9 divided by 201 = .000199 x 10-9 or 1.9 x 10-13, which is the moles of mercury in a liter of water. Multiply 1.9 x 10-13 x Avagadro’s number, 6.02 x 1023 = 11.44 x 1010 or 114,400,000,000 or 114.4 billion atoms of mercury per liter of tap water. Regarding hydrogen fluoride, Simplot’s Certificate of Analysis shows that around 1.5% of the contents of a tanker truck load of so-called fluorosilicic acid is hydrogen fluoride. NSF acknowledges on its ‘Fact Sheet’ that after dilution of fluoridation materials down to the level where fluoride ion is at 1 ppm, hydrogen fluoride is present at .02 ppm, which is in treated water at pH 7.6. In the stomach at pH 3, hydrogen fluoride concentration is up to around .5 ppm, whereas fluoride ion has dropped from 1.0 ppm to around .5 ppm. Notice how fluoride ion and hydrogen fluoride morph from one to the other depending on the dilution and the pH. However, in the stomach it is a different story, because at pH 3, a lot of fluoride ion morphs into hydrogen fluoride, and hydrogen fluoride is present in the stomach at around .5 ppm. So let’s run the numbers again at .5 ppm. Again, hydrogen fluoride has a molecular weight of 20. At a concentration of .5 ppb in water coming from the treatment plant at pH 7.6, the calculation of the number of atoms of hydrogen fluoride in a liter of water is as follows: Multiply .5 ppm or .0000005 or 5.0 x 10-7 grams of hydrogen fluoride in a gram of fluoridated water. Divide that by the atomic weight of hydrogen, which is 20: 5.0 x 10-7 divided by 20 = .25 x 10-7 or 2.5 x 10-8, or .000000025 moles of hydrogen fluoride in a liter of water at pH 3.0. Multiply 2.5 x 10-8 x Avagadro’s number, 6.02 x 1023 = 15.05 x 1015 or 15,050,000,000,000,000 or 15.05 million billion atoms of hydrogen fluoride per liter of tap water at pH 3.0. Finally, there is thallium, NSF acknowledges that shipments of fluoridation materials have been found to add up to .06 ppb thallium to water after fluoridation materials have been diluted down to the level where fluoride ion is at 1 ppm. Thallium has a molecular weight of 204. At the concentration of .06 ppb in water, the calculation of the number of atoms of thallium in a liter of water is as follows: Start with .06 ppb or .00000000006 or .06 x 10-9grams of thallium in a gram of fluoridated water. Divide that by the atomic number of thallium, which is 204: .06 x 10-9 divided by 204 = .00029 x 10-9 or 2.9 x 10-13, which is the moles of thallium in a liter of water. Multiply 2.9 x 10-13 x Avagadro’s number, 6.02 x 1023 = 17.46 x 1010 or 174,600,000,000. That is 174.6 billion atoms of thallium per liter of tap water fluoridated at 1.0 ppm fluoride ion. mixture than they are individually. We have reproduced this paper here just in case the original is lost. We are thankful and mindful of the work of the original authors. and commend it to all doctors and dentists. We keep our own copy off-line. fluorosilicic acid / sodium fluorosilicate.